Every New Zealand holiday should include a jet boating experience. Haast River Safari, located on the West Coast of New Zealand, offers jet boat tours in fully enclosed river boats. Great visibility is ensured, yet you remain warm, dry and comfortable, making this a unique and safe experience suitable for anyone of any age to participate in and enjoy. 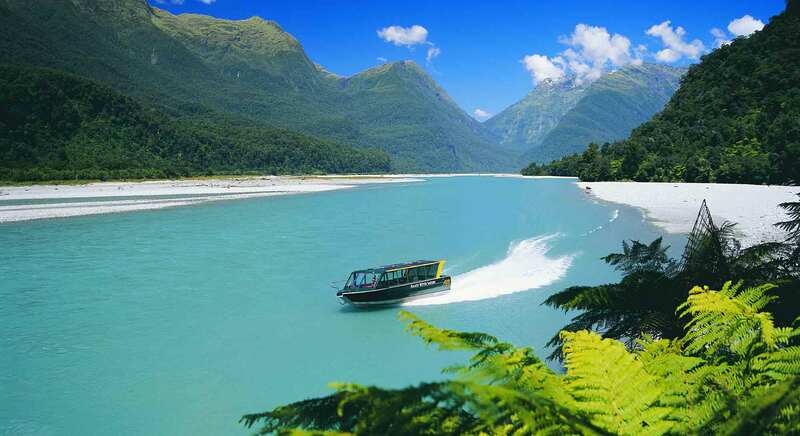 Haast River Safari operates river jet boat rides in the South Westland World Heritage area. Learn from our local and highly experienced jet boat driver/guides about the physical attributes of this remarkable glacial valley, where temperate rainforest thrives. Hear stories of the Kiwi spirit that enabled the Haast community to survive on the edge of the wilderness. We'll stop so you can get out of the boat so that you can reflect on the fact you are in one of New Zealand's last frontiers. Sunshine or rain our jet boat trips operate daily.